Are we creating path dependencies with our creative technologies that actually limit creativity? Jaron Lanier thinks so and in this post I introduce the concept of dominant design and what it means in terms of technological and social innovation. What happens when the system of innovation that serves us so well provides the very means of hindering creativity and limiting our potential? That is a process that Jaron Lanier calls”Lock in” and it is something that doesn’t get enough attention as we contemplate the systems we’re in. The term “lock-in” refers to what we might associate with path dependence in complexity science. It is the well-worn path that guides us in certain ways, often without us knowing it, and consequently limits the range of possibilities that we have before us. Designer or technologists might also call this phenomenon ‘dominant design‘ . Regardless of what you call it, the phenomenon is worth looking at intently, which is just what Lanier does in his new new book. 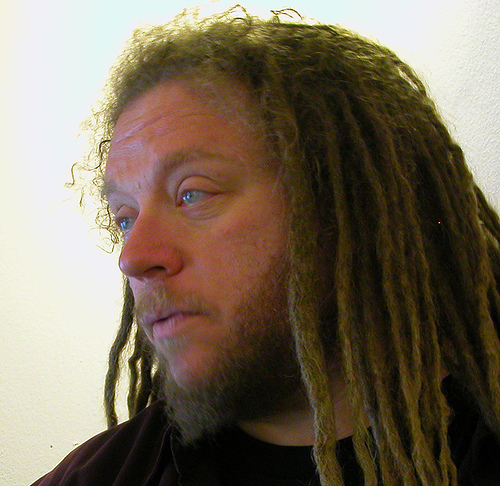 Jaron Lanier is a unique figure in the technology world, filling the role of both pioneer, advocate and intense critic. His work on virtual reality has paved the way for a host of later innovations in ways of marrying the person and their perception with technology that can amplify or mediate this experience in virtual environments. Second Life, Flight Simulator and the very real use of VR to explore case scenarios (such as the one that Loyalist College in Ontario has used to train border guards via Second Life) for practical purposes owe a lot to his him. It is for this reason that Lanier’s opinion holds some weight. His recent book is a critical look at how we’ve unwittingly created paths that are leading us to stifle innovation, creativity and expression through tools that invoke a type of non-reflective “hive mind” that rewards the mediocre, the middle, and shaves off the edges, where much creative work really happens. Wikipedia, while useful and generating content that might not otherwise be available, also rewards the view of the majority or those types most likely to edit, re-edit and commit to a topic. In a drive towards providing a version of the truth, albeit an edited one, tools like Wikipedia aim for the middle or the points of agreement as the focus of the articles. This might be fine if there were many Wikipedias out there, but there really isn’t. It has become the dominant form of ‘encyclopedia’ out there. Think of search and you get: Google. The reason is likely because it provides a great search, but also becomes something you’re accustomed to. Have you considered what other relevant things you are NOT seeing because they don’t fit Google’s search algorithm? Ever organize your files into something other than a folder or dragging it to your desktop? Probably not very often. The reason is that there is a dominant design out there that pushes us to create spaces with similar features across conditions so we have Macs and PCs use folders, have desktops, employ icons and organize information using hierarchies. Jaron Lanier is worried that we’re creating a social web where creative opportunities that favour individual expression and innovation are getting squashed at the expense of tools and resources that appeal broadly, but have little depth or breadth for innovation. He’s not an anti-technology luddite here, rather providing a series of arguments for why we need to spend more energy contemplating the systems we create and critically examining their impact. Otherwise, we create knowledge generating tools that do little to help people learn, music programs that limit sound quality, and problem-solving tools that actually create more problems than they solve. It’s an interesting read and, while I don’t agree with all of his arguments, there is much to consider as social media becomes bigger, more connected and an ever-greater part of our life. More on this to come.